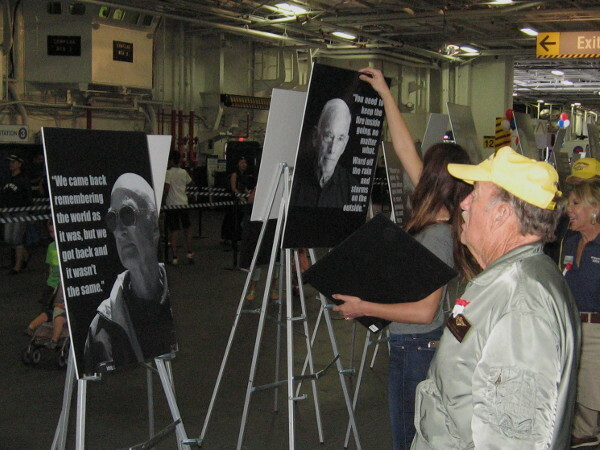 Students interview veterans for USS Midway exhibit. – Cool San Diego Sights! 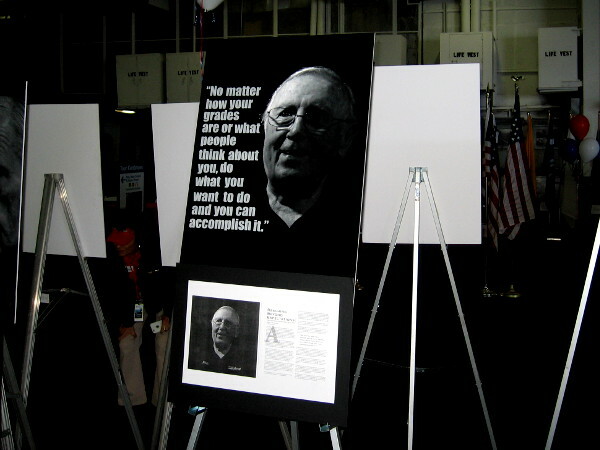 Students interview veterans for USS Midway exhibit. 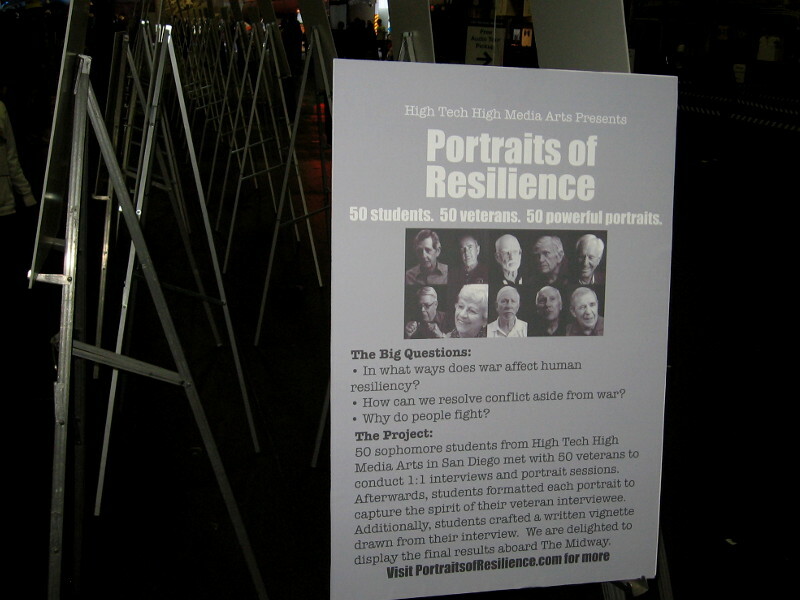 Visitor to USS Midway Museum on Memorial Day weekend absorbs Portraits of Resilience exhibit, created by students of High Tech High Charter School. This morning I walked a little around the USS Midway. The historic aircraft carrier is now a popular museum docked on San Diego Bay. I was there because it’s Memorial Day weekend, and I have personal experiences that make me grateful for America and our brave servicepeople. But I won’t blog about that here. 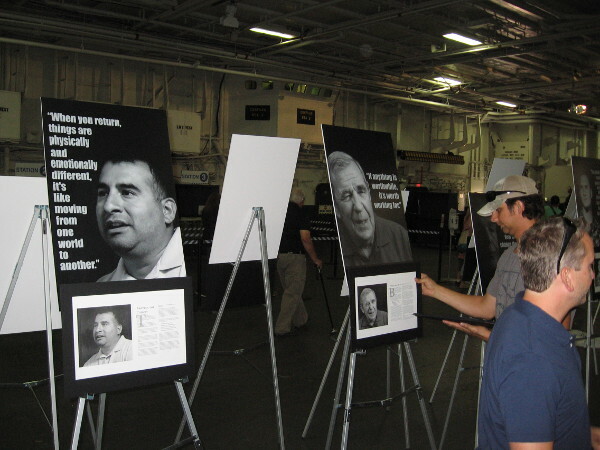 I was surprised to see a thought-provoking exhibit being set up in the hangar deck of the Midway. I learned it was a project of students at High Tech High, which is a charter school in Point Loma. 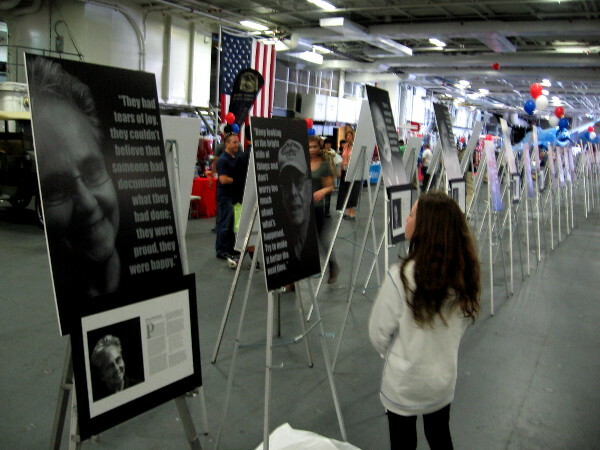 50 students interviewed 50 veterans, to learn about war, and peace, and human resiliency. I took some photos in less-than-optimal lighting, and my flash wasn’t entirely helpful, so I had to apply a good deal of contrast. Portraits of Resilience. 50 students. 50 veterans. 50 powerful portraits. 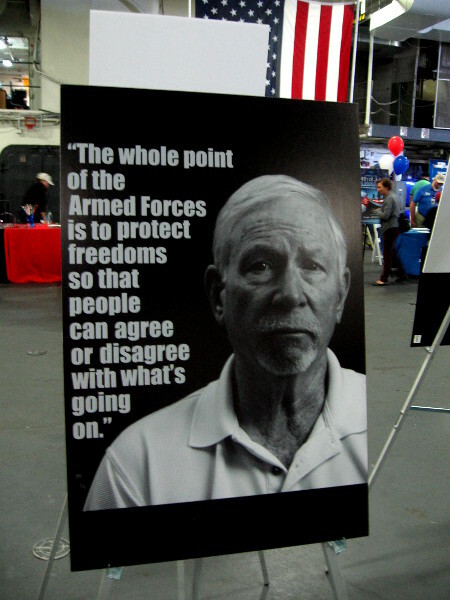 The whole point of the Armed Forces is to protect freedoms so that people can agree or disagree with what’s going on. 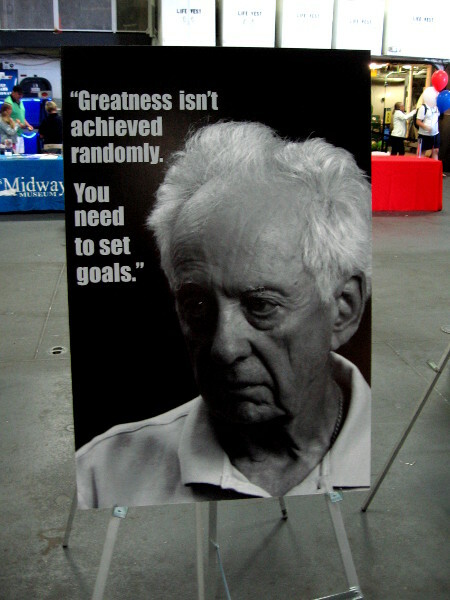 Greatness isn’t achieved randomly. You need to set goals. It’s people. 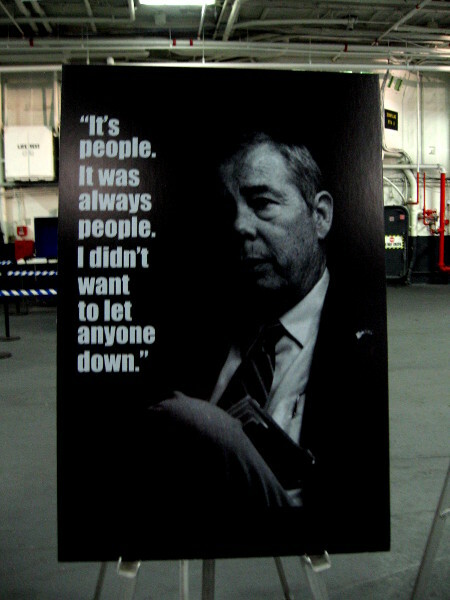 It was always people. I didn’t want to let anyone down. A veteran reads words of pain, joy, memory and wisdom spoken by others who’ve served in the military. Everything is written in pencil. 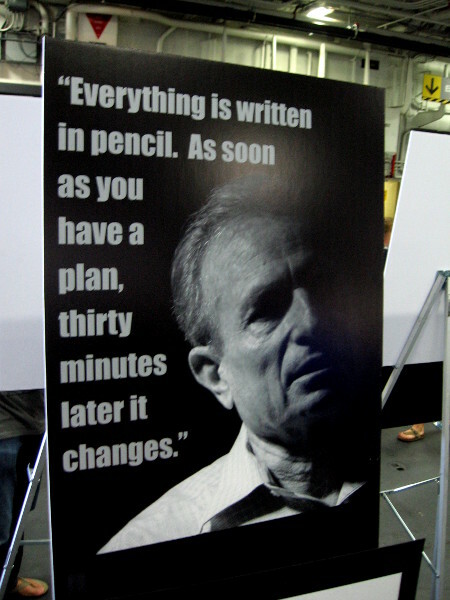 As soon as you have a plan, thirty minutes later it changes. Don’t waste your time worrying, worrying, worrying! 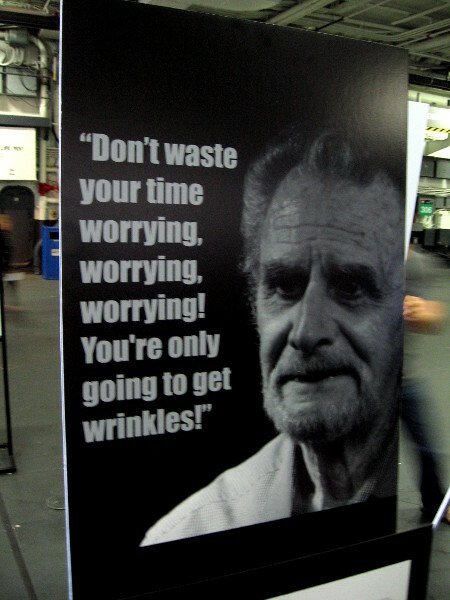 You’re only going to get wrinkles! My best decision was marrying my wife. 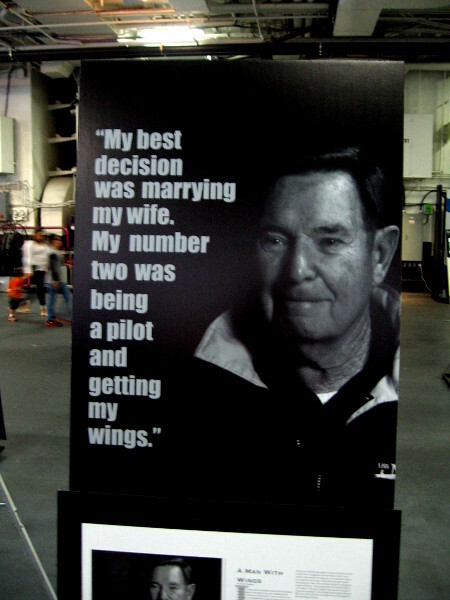 My number two was being a pilot and getting my wings. No matter how your grades are or what people think about you, do what you want to do and you can accomplish it. We didn’t have names of battles. 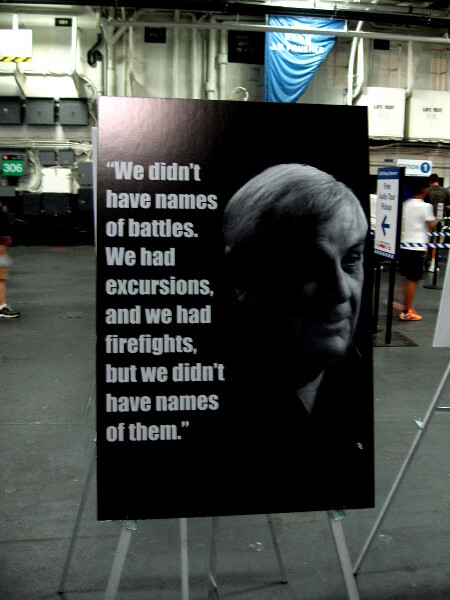 We had excursions, and we had firefights, but we didn’t have names of them. When you return, things are physically and emotionally different. It’s like moving from one world to another. 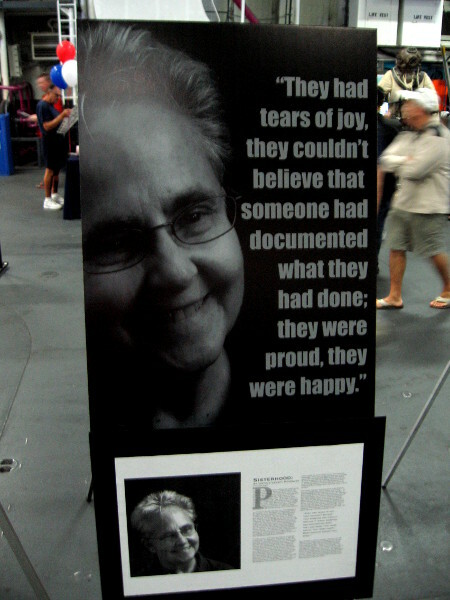 They had tears of joy, they couldn’t believe that someone had documented what they had done; they were proud, they were happy. You’re watching his back, he’s watching your back. 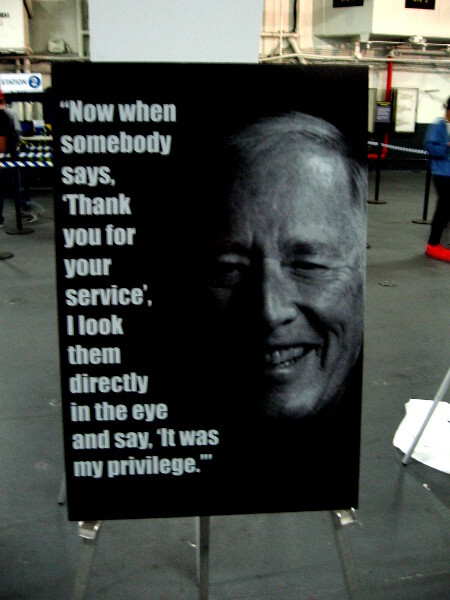 Now when somebody says, “Thank you for your service”, I look them directly in the eye and say, “It was my privilege”. Outstanding respect shown here, Richard. Another fantastic job! Loved the photos. The words with them are so meaningful and heartfelt. I agree. I believe the students are working on a book containing the interviews. That would be a remarkable book to read. It’s great they they took to the task so well. Pingback: Remembering, helping Veterans this weekend. – Cool San Diego Sights! 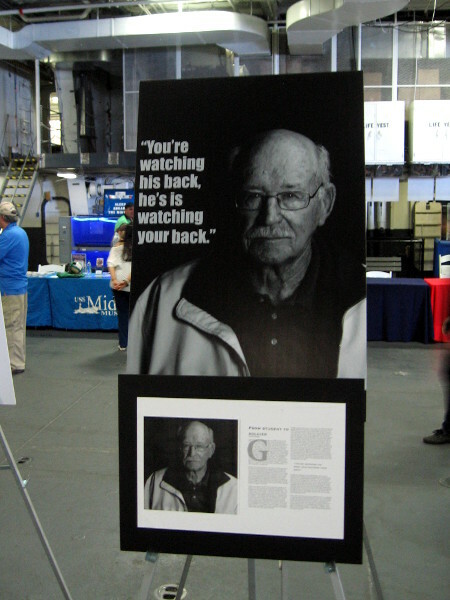 Previous Previous post: World War II vets honored on USS Midway. Next Next post: Spreckels Organ raises funds for Operation Rebound.